All award travelers should earn transferable points, as they give you great flexibility in your redemptions. They also shield you from any potential devaluations, since the ability to transfer to other programs means you’re not locked into one currency. 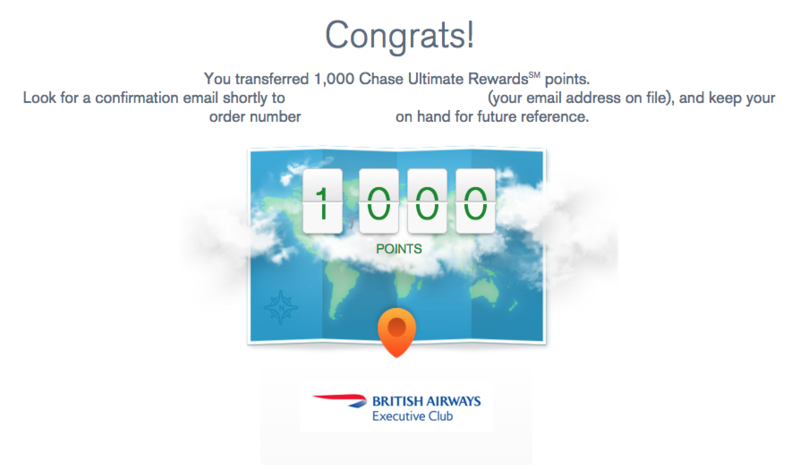 Chase Ultimate Rewards are some of the best transferable points out there, and TPG Senior Points & Miles Contributor Nick Ewen explains how you can transfer them to British Airways. In order to even think about redeeming these points for maximum value, you first need to know the actual process for transferring them to partners. Today, I’ll continue our series that looks closely at the process for transferring points to each Ultimate Rewards partner. Our first subjects were Hyatt Gold Passport, United MileagePlus, Southwest Rapid Rewards and Marriott Rewards, and now I’ll take a look at another one of the program’s airline partners: the British Airways Executive Club. British Airways has undergone some significant devaluations recently, but you can still get some solid value out of transferring Ultimate Rewards points to your Executive Club account. Then, simply enter in the required information to complete your online enrollment. If you already have an online credit card account with Chase, you can add a new card to it by clicking Manage Accounts in the Customer Center and then selecting Add Accounts at the top. 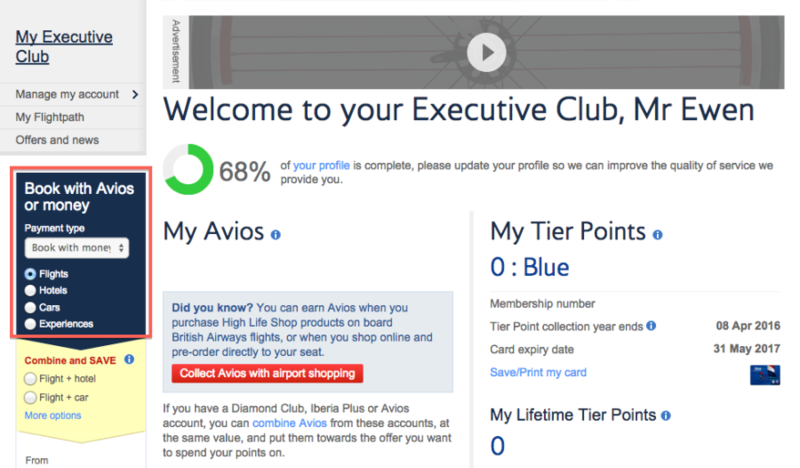 The other important thing to do is to sign up for the British Airways Executive Club (though if you’ve read my points and miles mistakes post, hopefully you’ve already done this). To do this, just visit the page to join the program and enter your information. Once these two things are complete, you’re ready to start transferring! 1. Log in to your Chase account and click on the Go to Ultimate Rewards link at the top right. 2. Hover over the Use Points drop-down menu and select Transfer to Travel Partners. 3. 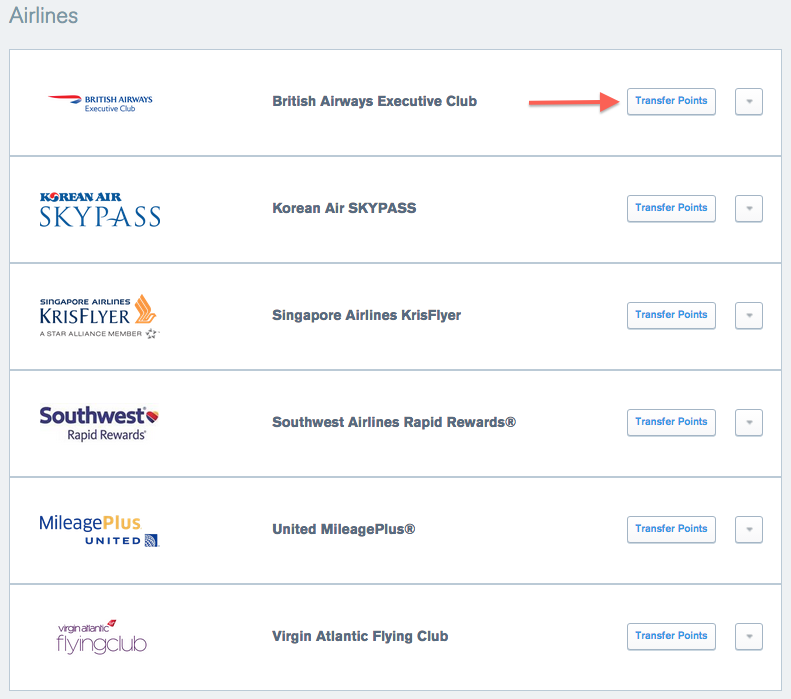 Scroll down the list of airline partners and click Transfer Points next to British Airways Executive Club. 4. Enter the required information and click Add Member ID to add a new account. 5. 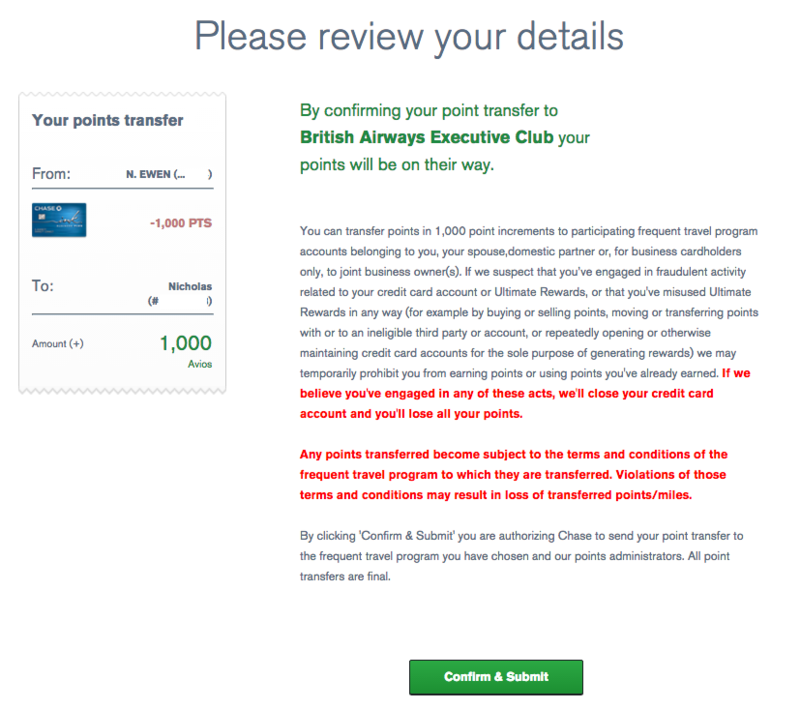 Enter the number of points you want to transfer (must be in increments of 1,000) and click Continue. 6. Review your details on the next page and then click Confirm & Submit. The next screen should confirm that the transfer was successful. We recently tested how long Ultimate Rewards transfers take for each of the program’s 11 partners, and fortunately British Airways is one of seven partners that show up immediately. The transfers are nonrefundable, so be certain you want to make the transfer before you click Submit. You can only transfer to yourself or an authorized user. You can combine points from your different cards or transfer points between your account and that of your spouse/domestic partner. For complete details, check out my post on combining Ultimate Rewards points. You can redeem Avios for some solid first- and business-class products – just be prepared for some pretty high taxes and fees. 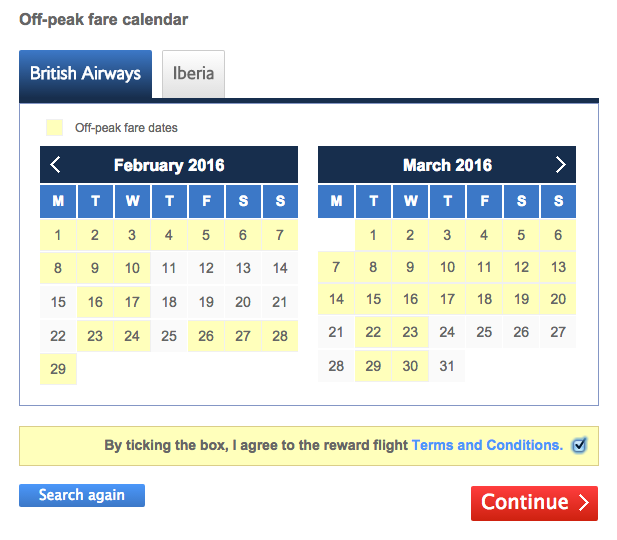 Now that you’ve made the transfer, it’s time to actually book with British Airways. The Executive Club booking engine is simultaneously wonderful and maddening, as it does a great job displaying Oneworld and partner redemptions (like Cathay Pacific first class) but tends to be a bit glitchy. 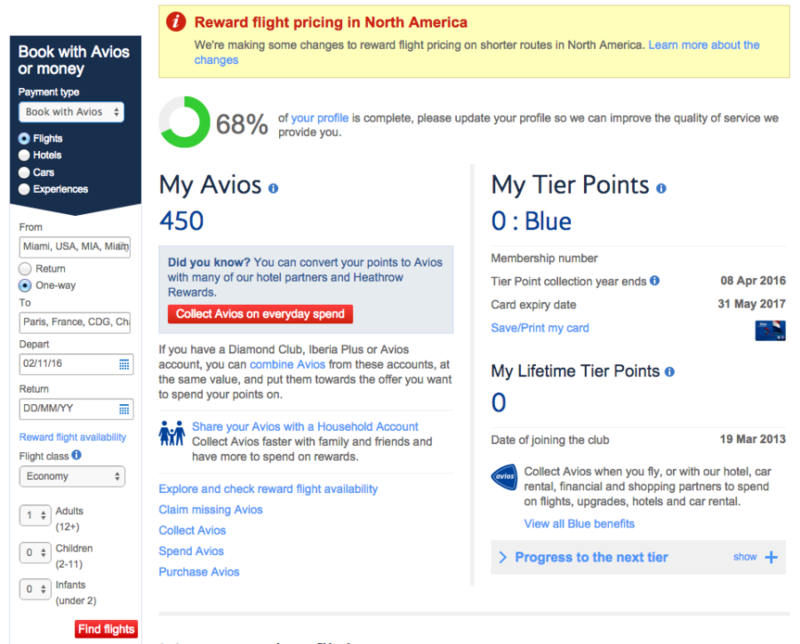 However, British Airways Avios can be incredibly valuable due to the program’s distance-based award chart (in spite of the recent devaluation and just-announced price increase on North American redemptions). Some favorite uses include short-haul flights from Oneworld hubs or the Travel Together Ticket you’d earn by spending $30,000 in a calendar year on the British Airways Visa Signature Card. 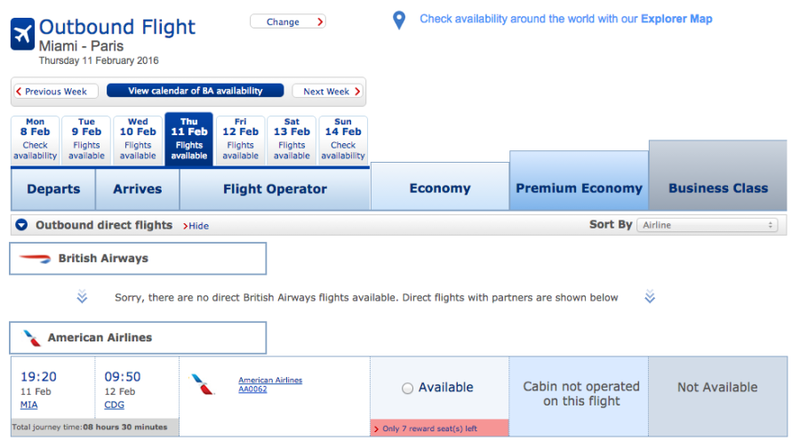 You also get a snapshot of availability on British Airways-only itineraries, those involving British Airways and a partner airline and those involving solely partner airlines. This includes economy, premium economy, business and first. NOTE: You can only view three travel classes at once. 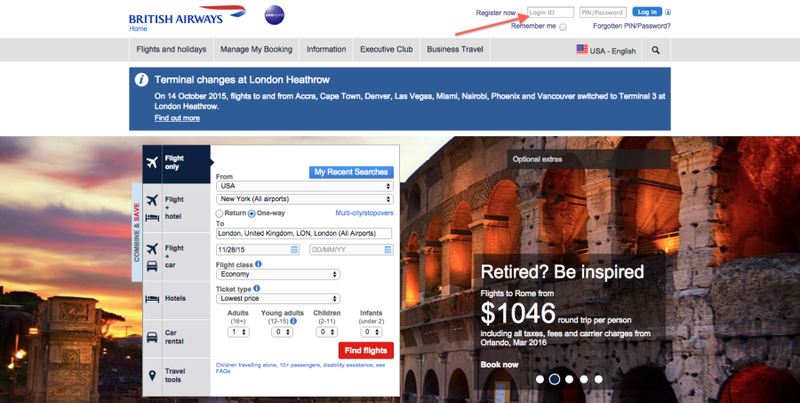 To see first class, be sure to select either business/Club or first when setting your search criteria. 7. Complete the rest of the booking process! 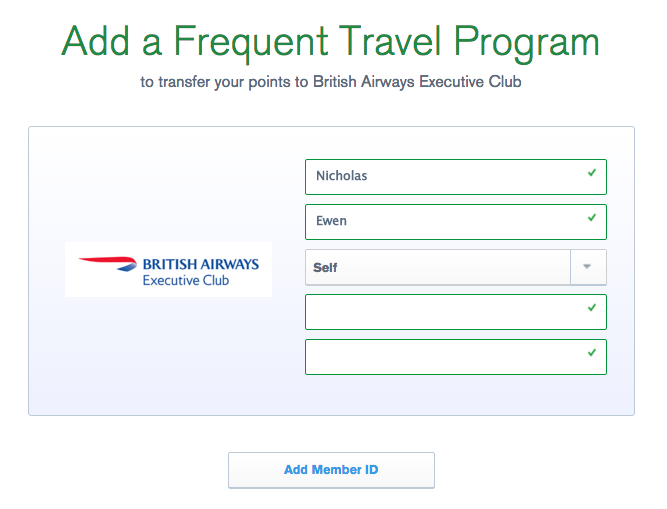 Despite the multiple devaluations during the past several months, there are still some great ways to get value out of the British Airways Executive Club program. The carrier recently announced service to San Jose, CA on its new Boeing 787-9 Dreamliner, and you always have the option to use Avios to upgrade paid flights. Just remember that award tickets are subject to some pretty gnarly fuel surcharges. As mentioned above, you may want to consider opening the British Airways Visa Signature Card, which is currently offering a sign-up bonus for a total of 50,000 bonus Avios. This haul is worth $1,600 based on TPG’s most recent valuations and also puts you within striking distance of the Travel Together Ticket. 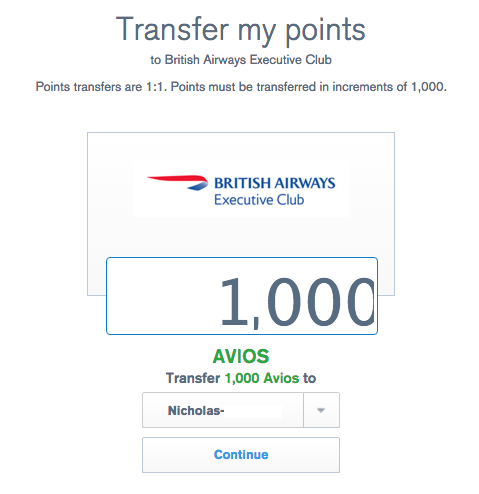 I’ve gotten some terrific value from transferring Ultimate Rewards points to British Airways, and so can you! Ultimate Rewards points regularly appear near the top of TPG’s monthly valuations (and for good reason). With a number of valuable transfer partners, you can get a ton of value and flexibility by collecting these points and then putting them toward a variety of different redemptions. I’ve transferred Ultimate Rewards points to British Airways several times, and I usually get tremendous value for the award ticket.